Indochina's three countries each have well-known birding spots. Aside from the many hotspots already known by international birders and often shown on eBird and other apps (including our), many new sites are being developed for birding and nature tourism. These sites promise to become excellent for birding in the near future and, thus, birding in Indochina will continue to improve even more! 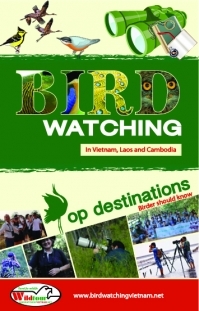 Vietnam has the best-developed eco-tourism sites and the best-known birding network. In Cambodia, recent conservation work has produced several excellent areas. 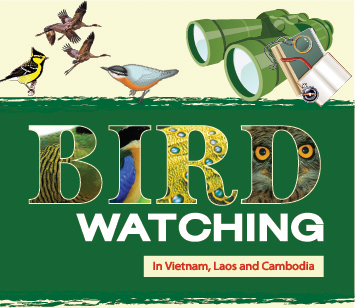 Laos is still developing and birding isn’t yet very popular or easy to do there. Because of our monsoonal climate, the best time to visit southern Vietnam, Cambodia and Laos is during our dry season (winter, that is, December-April), when many species are breeding. Birds are unusually active and vocal during this time, especially in the morning. In northern Vietnam things are a bit different: Our spring occurs in March-May, the best period to visit mountainous parks to avoid misty, cold and fogy conditions in winter or very hot/highly humid conditions in summer. In the south, Cat Tien national park is perhaps the best choice for those who want to bird for only 2-4 days. Several small spots in Mekong delta including Tram Chim wetland reserve area, muddy beaches in Tien Giang or Ben Tre provinces and some bird sanctuaries are good for waterbirds and waders during migration time. Come up to montaine of Da Lat area, a few birding sites are superb; birders can enjoy both unique birdlife and cool climate with beautiful landscape in this tourist town. In central highlands, Yok Don national park offers tourists other kind of habitats, deciduous depterocarps forest, and Serepok river here supports habitat for Mekong Wagtail. Kon Tum plateau provides excellent sites, and three babblers (Chestnut-eared Laughingthrush, Golden-winged Laughingthursh and Black-crowned Barwing) are main targets for all birders in the World. The new road in between Kon Tum and Quang Nam provinces near Ngoc Linh mt gives us a chance to see Golden-winged Laughingthush at Mang Ri & Ngoc Lay while , including Mang Den is the site to find Chestnut-eared Laughingthrush. Considering the lowland Annamite provinces: Good birding spots exist near in Hue city, Da Nang, and the evergreen forest in Bach Ma national park is one of the best birding spots In Vietnam. A bit further north, Phong Nha – Ke Bang national park provides a good limestone forest and beautiful caves, each with their own bird species such as Sooty Babbler, Limestone Leaf-warbler. In the north, there are several excellent sites near Ha Noi. Tam Dao national park is a good montane forest where just about 1.5 hours drive from Noi Bai airport. Ba Vi mountain is also good for some good species. Cuc Phuong national park has some our best limestone forest where Red-collared Woodpecker inhabits. In the very north, Sa Pa - Fansipan region will introduce birders Sino-Himalayan avifauna and Ba Be national park is for those who keen to see White-eared Night-heron. Around Siem Reap, several excellent birding sites including Ang Trapeang Tmor, the Sarus Crane reserve area is just about 2 hours drive. It has excellent small wetland and grassland habitats. Prek Toal in the core of Tonle Sap supporting breeding colonies of large waterbirds. Alongside Road #6 from Siem Reap to Phnompenh, a grassland provides good habitat for Bengal Florican and also many grass-birds, crakes. Tmatboey, located in the east perhaps the best spot in Cambodia, both rare Ibis species are found there during dry season. A village named Kampi nearby Kratie is one of the best site to see Irrawady Dolphin and Mekong Wagtail are also here. 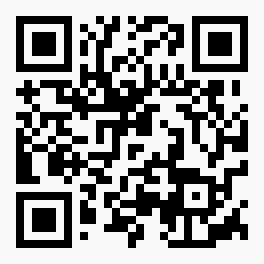 As mentioned, Laos is still developing and birding here is difficult. The best-known birding site is Nahin, a village located in the Road #8 leading to Vietnam, this spot supports a population of a very recently-described species, Bare-faced Bulbul. In additional, near-endemic taxa Sooty Babbler and Limestone Warbler and rare Red-collared Woodpecker can be can be seen here.